With all the snow pounding parts of U.S. this winter, it’s the perfect time for winter sports. But that usually means putting the electronics away, missing out on text messages and not getting to listen to your favorite tunes. Not anymore! 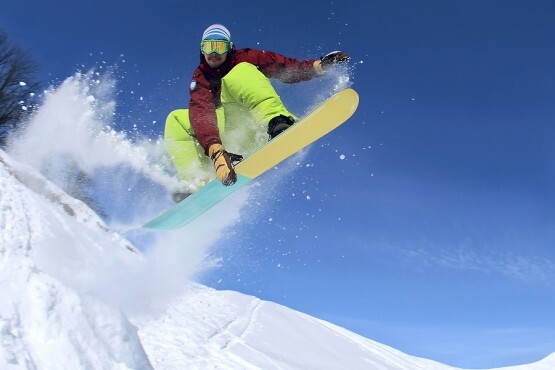 As wearable technology gets easier to make, sportswear manufacturers are going high tech with their gear, especially those that have to stand up to harsh temperatures and moisture from the snow. They’re adding processors, screens and even bluetooth to make it easier for you to stay connected on the slopes. Featuring a GPS system, onboard sensors, buddy-tracking and music control, Oakley’s Airwave goggles will keep you plenty entertained on a ski trip. You can also view incoming texts and calls, measure and track your speed and jumps, and navigate yourself back to the resort when you’re ready. Best of all, you can also track friends and family members just by having them download the Airwave app. Recon’s Snow2 is another new wintertime must-have. It uses an HD display and a micro computer to keep your important information just a click away. Plus, it’s completely hands-free, using a wireless remote to allow you to move through different options on the dashboard of the goggles. Once you pair your phone with it, you can even share your best jumps and runtimes on Facebook. So what do you think? Is high-tech winter gear the next big thing? Vote and let us know in the comments! Yes, if something happens, they will be able to look at it and find out the real truth, other than just one persons point of view. Yes, Snow gadgets will be the new best thing because if something bad happens, they might be able to find out what happened! Plus, It’s awesome! No, I do not believe Snow Gadgets will make Snow Activities any safer. In fact, I believe it would make it worse. With more technological distraction and overall communication. The focal point of the person may not be on the track ahead of them. Leading to potential injury, which is trying to be avoided. Yes, because when snow boarding you normally thinking about playing music or see text messages and with the new high tech you can do both. P.S Tom Hansom, and Maggie Rully are my favorite reporters. Yes let’s try it it is a good idea. yes! i think they would be the next big thing because you can see your text messages and a map of the the slope and with the waterproof case you can take videos of what your doing but the goggles are amazing until you run into a tree. bring on the snow gadgets please. i don’t think it will be the next big thing because it could distract other riders and hurt someone and it could distract you. thats what i think it should not be the next big thing. Okay I’m covndncei. Let’s put it to action. its a great way to have fun. i think its the next big thing. suit up im ready! I don’t think these are the NBT, but they are really cool! I think they won’t because it doesn’t snow everywhere. I’m in Ocean Springs MS and we just don’t get snow.